If we talk about a truly open and radically collaborative website, Wikipedia is one of them. It is an online free encyclopedia hosted by a non-profit organization, Wikimedia Foundation. The content on the website can be created and edited by volunteers around the world. The encyclopedia was launched 16 years ago. Wikipedia has a huge collection of content with more than 38 million articles in 289 languages. Well, this is not it! There is so much that we don’t know about this amazing online encyclopedia. In this post, we have mentioned some of the less known facts that could interest you. Read on! Wikipedia is a non-commercial website run by Wikimedia, a non-profit organization based in San Francisco. So, if you think it would be owned by any IT giant in future, it isn’t going to happen. The foundation is funded through donations and grants, and its main aim is to bring free knowledge to all. Wikipedia believes in the free content license which means it allows you to copy, modify, re-distribute the text and content by its users for free. However, they insist and as per their license, whenever you take content, you need to give credit to the contributors, mention the free license your re-use is under, and you cannot obtrude new restrictions on the work or on any improvements you make to it. Moreover, many of the images and other media on the website also come under free licenses, or in the public domain. You can check a file’s description page to know the licensing terms. Whether it’s Banyumasam or Waray Waray, you can get content in several languages. For now, it has content in about 300 other languages. However, only about 100 of the Wikipedia language editions have more than 10,000 articles. 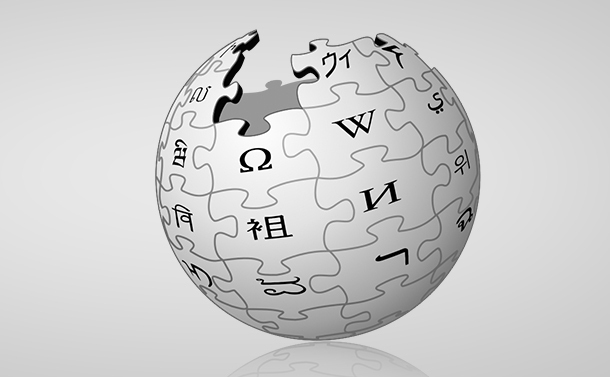 Wikipedia is continuously growing and also working on raising awareness on the local level. You can only add content to an article but it is not possible to change it. Wikipedia database is fabricated in such a way that the memory will last as long as Wikipedia people want it to be. An article or content that you read today is a just current draft. Wikipedia keeps all the versions of the content with it. This gives them the liberty to restore the older ones if needed. If you as a reader want to get access of a particular copy of the content, you need to link the article using the permanent link at the bottom of the left menu, your link will direct you to a page on which the content will never change. Only in the case, if the article is deleted for some reason, the permanent link will work for administrators. Wikipedia does have set of ground rules and quality control processes. Editors can keep an eye on changes, monitor certain topics, check what a user has contributed, point out controversial articles for review, report plagiarism and more. For Wikipedia, quality matters as they constantly work on improving on particular topic areas. They award their best articles as featured articles and nominate the problematic pages for deletion as well. As there are many people contributing to content, the quality of the content might vary from time to time, from content to content. Some of them could be of highest quality, on the other hand, some could be completed detritus. Moreover, the articles on it can be edited by anyone at any time, the content is prone to errors and mistakes. However, this online encyclopedia could be used for getting information with a subject or even if when searched with a jargon. Wikipedia still recommends to not to use the data on it for reaching to a conclusion. Wikipedia is not the only source with which the Wikimedia Foundation provides free knowledge. It has eight different projects to the encyclopedia, including Wiktionary (a dictionary and thesaurus), Wikibooks (a collection of textbooks and manuals), Wikinews (a citizen journalism news site), Wikiquote (a collection of quotations), Wikiversity (an interactive learning resource), Wikispecies (a directory of all forms of life), Wikimedia Commons (a media repository of more than forty million images, videos, sound files and other media), and Wikisource (a library of source documents). Nobody who contributes to the content on Wikipedia gets paid. No matter who you are, an incumbent professor or novice, whether you want to use your real name, have a pen name, contribute without signing up, it doesn’t matter, your edits and content would be evaluated on its quality. No personal conclusions in the articles by editors are entertained. Wikipedia expects writers to have a neutral point of view, the information and opinions collected should be genuine and traced back to authentic sources. The Wikimedia Foundation is not connected to any political institution, it is controlled by its Board of Trustees. The board members don’t take part in editorial issues, and all the projects on it are self-governing and consensus-driven. Wikipedia is transparent and is open to criticism. The founder’s vision is to be in the game for hundreds of years. They want Wikipedia to be there for a longer time. Wikipedia is working towards it, be it content licensing, governance, the organization, the international focus, the use of open-source software, all the efforts to keep the vision intact. Their vision is to make every single individual be able to share all the knowledge they want. So, these are some of the unknown facts of Wikipedia. Did you find them amazing or do you think we missed out on some interesting fact? We would love to hear from you, do let us know in the comments section below! You can also sign up for our Newsletter to get regular updates on everything tech! Are We Ready For A New Industrial Revolution?